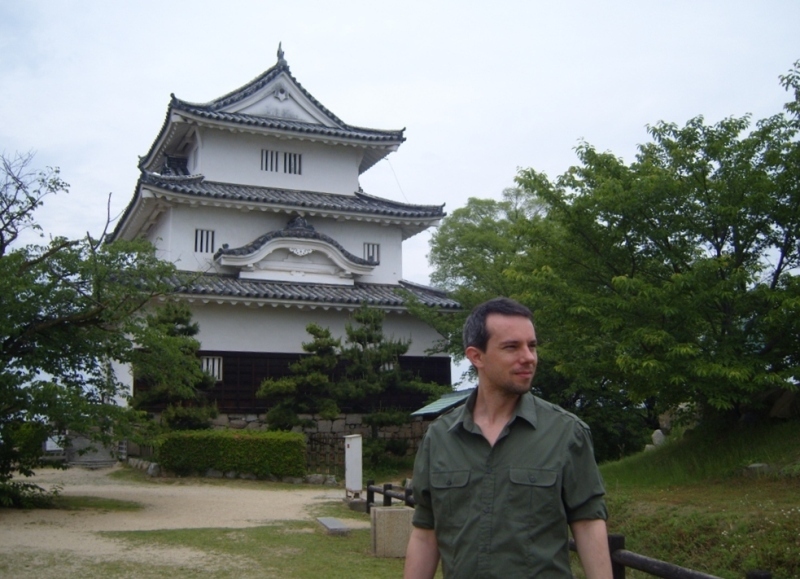 Born and raised in the French South-West in the 70’s, nothing predisposed David to be interested in Japan (yes, I’m going to narrate this in the third person just like in any good biography). During his youth, while a bunch of kids from his generation practiced karate or judo, fantasizing about ninjas or samurai, and most likely being the first generation of French kids caring about Japan, he preferred to be interested in even further lands, as science-fiction was the thing that captivated his imagination at the time. Sure, just like any French boy his age, he rarely missed an episode of Captain Harlock or Grendizer, but when Manga and Anime arrived in mass in his country, he couldn’t care less. Why should he? That first massive wave of Japanese pop culture mostly touched kids from the following generation, not his. Actually, it was not before 2005 that David saw his first Miyazaki movie (Spirited Away) and despite a few attempts and the fact that he generally likes comics, he could never get into Manga. When the time came for a big long travel abroad, David still didn’t go eastwards but in the opposite direction as he landed in the US where he ended up spending seven years (in West Virginia and Florida). And if it is where he met Japanese people for the first time, and even if he appreciated them, they didn’t leave a very strong mark either. Back in France in 2005, he worked for a language school where he taught English and French (as it is his main job) to adults from all walks of life (a Gambian cook, Moroccan Insurers, Chinese executives, an Australian biker and many more). He even had a few Japanese students. And they were the ones that intrigued him the most. Indeed, the way they behaved, learned, interacted with him, everything about them was unique and unusual, despite the fact that he had had students from about twenty countries or more and from every continent. Intrigued, wanting to understand them better, to be a better teacher for them, he started reading about Japanese culture, sociology and psychology. He found those strange, interesting and –yes– fascinating. One thing leading to another, he started meeting Japanese people, always keeping in mind his goal of learning about their culture and understanding them better. However, one thing leading to another, he started meeting this one Japanese woman more and more, with a less and less professional purpose in mind. One thing leading to another, you can guess what happened next. They ended getting married, and they are now living happily with “ever after” as a goal! However, this is not the end of our story, just the beginning, as a short while after they met he flew to Japan for the first time in order to meet in future in-law family and to discover her home area. There, he fell in love a second time! This time with the area itself (that’s Shikoku, more particularly Kagawa and the Seto Inland Sea in case you arrived on this page through Google and never read a line of the blog). He loved the region so much, that a couple of weeks before his third trip there, he decided to start a blog that would be more or less entirely dedicated to the area. This blog is the one you’re reading now. And this is not the end of our story as in November 2011, his life and relationship to Japan took a new turn when he moved to Takamatsu.